Holland America Line offers cruises from San Diego and San Francisco in California. They specialize in long cruises to exotic destinations. The selection includes Alaska, Mexico, Hawaii, South Pacific, South America, Japan, Panama Canal and Christmas cruises. See the details below. 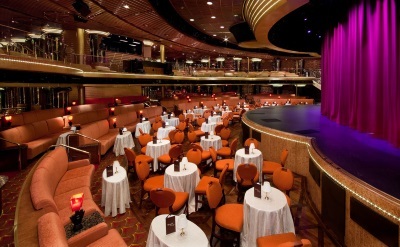 Holland America's mid-size luxury ships feature attentive service, fine dining and interesting activities. Amenities include valuable art collections, Dancing with the Stars: At Sea, the Culinary Arts Center, Greenhouse Spa, live entertainment, and multiple restaurants to explore. 21-day cruises to Alaska & Pacific Northwest. Round-trip cruise from San Francisco to Ketchikan (Alaska), Sitka (Alaska), Hubbard Glacier, Valdez (Alaska), Kodiak (Alaska), Anchorage (Alaska), Homer (Alaska), Haines (Alaska), Juneau (Alaska), Tracy Arm Fjord, Kake (Alaska), Wrangell (Alaska), the Inside Passage, Vancouver (Canada), Victoria (Canada), Astoria (Oregon) and Eureka (California). 16-day cruise to Hawaii on ms Eurodam. Round-trip cruise from San Diego to Nawiliwili (Kauai), Honolulu (Oahu), Lahaina (Maui), Kona (Hawaii), Hilo (Hawaii) and Ensenada (Mexico). 17-day cruise to Hawaii on ms Oosterdam. Round-trip from San Diego to Honolulu (Oahu), Lahaina (Maui), Kona (Hawaii), Hilo (Hawaii) and Ensenada (Mexico). • 2019 departure: October 20. 51-day cruise to the South Pacific on ms Amsterdam. Round-trip from San Diego to Honolulu (Hawaii), Maui (Hawaii), Kauai (Hawaii), Hilo (Hawaii), Kona (Hawaii), Fanning Island (Kiribati), Pago Pago (American Samoa), Apia (Samoa), Savusavu (Fiji), Suva (Fiji), Dravuni Island (Fiji), Lautoka (Fiji), Luganville (Vanuatu), Port Vila (Vanuatu), Mystery Island (Vanuatu), Nuku Alofa (Tonga), Vava U (Tonga), Alofi (Niue), Rarotonga (Cook Islands), Bora Bora, Raiatea, Tahiti, Moorea, Rangiroa, Fakarava and Nuku Hiva. • 2019 departure: October 28. • 2019 departure: November 6. 17-day cruise to Hawaii on ms Eurodam. Round-trip from San Diego to Hilo (Hawaii), Honolulu (Hawaii), Lahaina (Hawaii), Kona (Hawaii) and Ensenada (Mexico). 18-day cruise to Hawaii on ms Eurodam. Round-trip from San Diego to Hilo (Hawaii), Honolulu (Hawaii), Kauai (Hawaii), Maui (Hawaii), Kona (Hawaii) and Ensenada (Mexico). • 2020 departure: March 18. 21-day cruise to Japan on ms Maasdam. One-way cruise from San Francisco to Yokohama (Japan). Visit Victoria (Canada), Seattle (Washington), Ketchikan (Alaska), Sitka (Alaska), Kodiak (Alaska), Dutch Harbor (Alaska), Nome (Alaska), Petropavlovsk (Russia) and Kushiro (Japan). • 2019 departure: July 9. 7-day cruises to Mexico. Round-trip from San Diego to Cabo San Lucas (Mexico), Mazatlan (Mexico) and Puerto Vallarta (Mexico). • 2019 departures: April 7, April 14, April 21, October 6, October 19, October 26, November 2, November 9, November 23, November 30, December 7, December 14, December 21. • 2020 departures: January 4, January 11, February 22, February 29, March 7, March 14, March 21, March 28, April 4, April 11, April 18. 12-day cruises to Mexico. Round-trip from San Diego to Cabo San Lucas (Mexico), La Paz (Mexico), Loreto (Mexico), Mazatlan (Mexico) and Puerto Vallarta (Mexico). • 2020 departures: April 3, April 15. 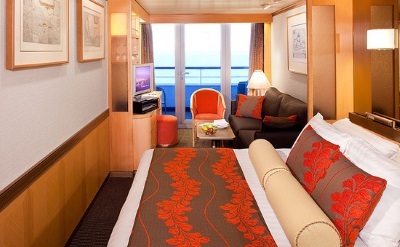 15-day Panama Canal cruise on ms Volendam. One-way cruise from San Diego to Fort Lauderdale (Florida). Visit Puerto Vallarta (Mexico), Huatulco (Mexico), Puerto Quetzal (Guatemala), Corinto (Nicaragua), Puerto Caldera (Costa Rica), the Panama Canal, Cartagena (Colombia) and Half Moon Cay (Bahamas). 17-day Panama Canal cruise on ms Volendam. One-way from San Diego to Fort Lauderdale (Florida). Visit Cabo San Lucas (Mexico), Puerto Chiapas (Mexico), Puerto Quetzal (Guatemala), Corinto (Nicaragua), Puerto Caldera (Costa Rica), the Panama Canal, Aruba, Curacao and Half Moon Cay (Bahamas). • 2019 departure: October 1. 16-day Panama Canal cruise on ms Nieuw Amsterdam. One-way from San Diego to Fort Lauderdale (Florida). Visit Puerto Vallarta (Mexico), Huatulco (Mexico), Puerto Chiapas (Mexico), Puerto Quetzal (Guatemala), Corinto (Nicaragua), Puerto Caldera (Costa Rica), the Panama Canal and Aruba. • 2019 departure: October 3. 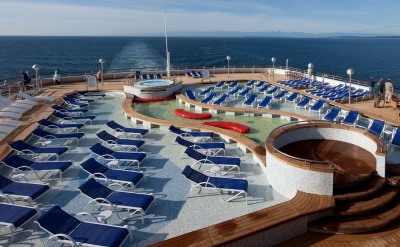 15-day Panama Canal cruise on ms Eurodam. One-way from San Diego to Fort Lauderdale (Florida). Visit Puerto Vallarta (Mexico), Huatulco (Mexico), Puerto Quetzal (Guatemala), Corinto (Nicaragua), Puerto Caldera (Costa Rica), the Panama Canal, Cartagena (Colombia) and Half Moon Cay (Bahamas). 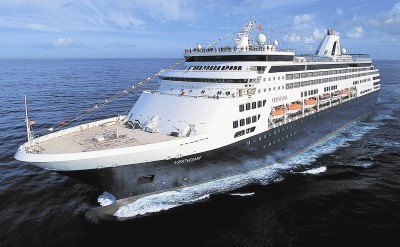 16-day Panama Canal cruise on ms Volendam. One-way from San Diego to Fort Lauderdale (Florida). Visit Puerto Vallarta (Mexico), Huatulco (Mexico), Puerto Quetzal (Guatemala), Corinto (Nicaragua), Puerto Caldera (Costa Rica), the Panama Canal, Aruba and Half Moon Cay (Bahamas). • 2019 departure: November 17. 17-day Panama Canal cruise on ms Amsterdam. One-way from San Diego to Fort Lauderdale (Florida). Visit Cabo San Lucas (Mexico), La Paz (Mexico), Manzanillo (Mexico), Huatulco (Mexico), Puerto Chiapas (Mexico), Puerto Quetzal (Guatemala), Corinto (Nicaragua), Puerto Caldera (Costa Rica), the Panama Canal and Cartagena (Colombia). 28-day cruise to South America on ms Amsterdam. Round-trip from San Diego to Cabo San Lucas (Mexico), Huatulco (Mexico), Fuerte Amador (Panama), Manta (Ecuador), Trujillo (Peru), Lima (Peru), Quito (Ecuador), Puntarenas (Costa Rica), Corinto (Nicaragua), Puerto Quetzal (Guatemala) and Puerto Vallarta (Mexico). • 2019 departure: September 30. 30-day cruise to South America on ms Volendam. Round-trip from San Diego to Cabo San Lucas (Mexico), Huatulco (Mexico), Puerto Chiapas (Mexico), Fuerte Amador (Panama), Manta (Ecuador), Trujillo (Peru), Lima (Peru), Pisco (Peru), Puntarenas (Costa Rica), Corinto (Nicaragua), Puerto Quetzal (Guatemala), Manzanillo (Mexico) and Puerto Vallarta (Mexico). • 2020 departure: February 21. 7-day Christmas cruise. Round-trip cruise from San Diego to Cabo San Lucas (Mexico), Mazatlan (Mexico) and Puerto Vallarta (Mexico). • 2018 departure: December 23.